Honouring Mandela's struggle for freedom across Africa, he said: "Madiba showed us the way whether you are white, black, yellow or brown, you are all God's children." THE name Nelson Mandela is considered a symbol of the struggle against apartheid in South Africa. Nelson Rolihlahla Mandela’s life is linked to the story of the ANC. Mandela is linked to the history of southern Africa, Africa, and the world. In turn, events in the region and other parts of the world have affected Nelson Mandela’s life. Nelson Mandela and Oliver Reginald Tambo were for a long time the closest of friends in the struggle. While Oliver Tambo, also knows as “OR,‿ was born in 1917, Nelson Mandela was born in July 1918. They were quite close in ideals. Together, they had been expelled from Fort Hare University for student protest. Together, they were partners in a law firm. In the early 1940s, they had been involved in setting up the Youth League of the ANC. With the 1948 official coming into force of the National Party’s government system of the official racism of “apartheid,‿ these were difficult times. The apartheid regime stood for something vicious and disastrous. They would use force to maintain the evil system. Nelson Mandela and “OR‿ worked closely with the great ANC president Chief Albert Luthuli. Together with Walter Sisulu and committed men and women of South Africa, Nelson Mandela and Oliver Tambo intensified the struggle against apartheid. Theirs was a struggle that had continued over hundreds of years. For Africa, just as apartheid produced great events all over southern Africa, the struggle produced great leaders. These are leaders by world standards. We had heard about Nelson Mandela, Oliver Tambo, and their efforts in South Africa. The early 1960s were a busy and eventful period for Africa. Most of Africa was in intensive struggle for freedom and preparing for independence from colonial rulers. At Addis Ababa, Ethiopia, I met Nelson Mandela. It should have been in December 1961. Addis Ababa was establishing itself as a centre for support to Africa’s freedom fighters. Preparations were being made for the formation of the Organisation of African Unity, OAU. Nelson Mandela was around Addis Ababa with Oliver Tambo. While Nelson had left South Africa for the conference unofficially, Oliver was in Ghana, living in exile. Nelson Mandela was young and handsome looking. On our first personal meeting, I could see that Nelson Mandela was a committed fighter for freedom. You could see the clear determination in him. At the same time, he gave respect to other people. He respected fellow freedom fighters from other countries. From the beginning, Nelson Mandela and I got on very well. Nelson asked me for our party UNIP to assist ANC. We were not in government then. We were Zambia’s government in waiting. Nelson Mandela knew that we, as UNIP, had made commitment to support neighbouring freedom fighters at the time we would become independent. Remember that the African freedom parties had a sense of common affinity. We had African National Congress in various countries. 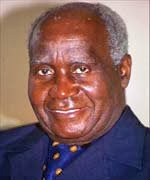 We had ANC of Northern Rhodesia, ANC of Southern Rhodesia, and the Congress Party in Malawi. We sang common anthems based on the great Nkosi Sikelelie Africa. We were thus supportive of each other’s struggles. We even collaborated as networks. In Addis Ababa, at the time I met Nelson Mandela, we were still willing to support our brothers and sisters in neighbouring countries. It was a common struggle. But when Nelson Mandela asked for assistance, we were then not in a position to give material and financial support to the ANC. I asked Nelson Mandela to speak with Simon Mwansa Kapwepwe, the UNIP treasurer. In Addis Ababa, Nelson Mandela and Oliver Tambo did a lot to sensitise Africa’s leaders on the situation in South Africa. He explained the use of force by the ruling regime. This was just a year after the brutal events of Sharpeville, where non-violent black protestors were gunned down. Due to the regime’s violence, ANC was changing approach. The militant wing Umkhonto we Swize was formed. In Addis Ababa, through Nelson and Oliver, many people understood more the situation of South Africa. After Addis Ababa, Nelson Mandela toured other African countries, sharing the message of the struggle and seeking support. He also underwent military training and preparations that would help him in organising Umkhoto we Sizwe. Later, he went back to South Africa. Oliver Tambo stayed outside as he was living in exile, having in 1960 been banned by the South African regime. Oliver Tambo was concentrating on establishing, in exile, ANC as an effective and internationally supported movement. When Nelson Mandela went back and sneaked into South Africa, he was arrested. He was given a five-year sentence for leaving South Africa without a permit. Together with others, Nelson Mandela was involved in the Rivonia trial. Being principled, he used the court to explain the ANC ideals, ideals dealing with human dignity for all people. He explained how the ANC’s non-violence struggle against apartheid and injustice was met with violence and force by the apartheid regime. ANC would use force but not hurt innocent people. Nelson Mandela’s words summarised the struggle against racism and injustice in Africa. It summarises the ANC position and the path it took over the years. That path is what we in Zambia, before and after our independence in 1964, greatly supported. At Rivonia, Nelson Mandela and his comrades were sentenced to life imprisonment. That took Nelson to harsh places like Robben Island. Meanwhile, Oliver Tambo, in exile, continued to build the ANC machinery. The ANC used Nelson Mandela’s imprisonment as a rallying point for the struggle against apartheid. Nelson Mandela became, worldwide, a symbol of the struggle. In Addis Ababa, I could not know that Nelson Mandela would be in prison, in fact be in there for a very long time. I must reveal to you, my dear reader and friend, that when Nelson Mandela and comrades were in prison, my fear was that the regime might terminate them. I really feared for their lives. The regime used force and was ruthless. This concern and anxiety in me went on for decades. I did not know when the apartheid rulers would stop fearing the influence of Nelson Mandela and his comrades. They could harm him as an easier way, for them, of reducing that influence and the inevitable change required in South Africa. I knew the regime was physically vicious. In 1957, on the way to Ghana’s independence, I had to pass through Johannesburg airport. I found many police dogs at that airport. Each way I looked, I saw a big dog. I had nothing to hide as I passed through the airport. I did not carry a thing like a revolver that I needed to hide. In fact, I have never touched a revolver. But Johannesburg airport was unfriendly and very hostile. There was a clear atmosphere of a vicious police state. So I feared for the lives of Nelson Mandela and our comrades. In fact, this concern was proved by the death in prison of young Steve Biko and other freedom fighters. With Nelson Mandela a focal point, we supported the ANC and the struggle of South Africa’s people. Zambia was then surrounded by other countries under colonial or racist rule. Angola and Mozambique were under the Portuguese. British-ruled Southern Rhodesia, later “Zimbabwe‿, had been taken over by a group of European settlers under Ian Douglas Smith. This had been in November 1965 through the Unilateral Declaration of Independence, UDI. Also on our borders was Namibia, then under the rule of apartheid South Africa. The struggles of the various groups were related. Often, the forces ruling the regimes worked together to suppress and kill people fighting for freedom. We were faced by a common oppression that faced people, in various countries, fighting for a common struggle for justice. Our struggle was not against white people. It was against practices and systems of racism. We believed in the Commandments of loving God with all ones strength, and loving your neighbour as we love ourselves. In Oliver Tambo and Nelson Mandela, we also found people who did not believe in hatred but love for fellow human beings of whatever colour. We had a common cause. Because of this principle based on love, we had,worldwide support. We had support from international organisations, governments, civil society organisations, churches, and individuals in various parts of the world. We used various ways to support the ANC. We canvassed, as a team of three governments called the Mulungushi Club and composed of Tanzania, Uganda, and Zambia, for international action against apartheid. The Mulungushi Club later, as more countries became independent, became the Frontline States. We used the OAU, Commonwealth Group of Nations, the Non-Aligned Movement, all networks I chaired at some time, to internationalise the fight against racism and apartheid. We worked closely with the United Nations. There were also other solidarity organisations we worked with. Through international action, various sanctions were sought and imposed on South Africa and the racist regimes of southern Africa. We called for economic, social, cultural, and sports sanctions against South Africa. Our interest was to use diplomacy to avoid bloodshed. I was also at times forced, in order to move forward, to meet rulers of the racist and apartheid regimes. I believed in dialogue. I believed we could avoid a big conflagration threatening southern Africa because of racism. Even now, I believe in non-violence as the ideal method of action. Because we believed, like with other neighbouring liberation movements, in South Africa’s freedom fight, we had to support ANC in effective ways. I regarded the leaders of the movements as people denied leadership of states. I treated them as heads of states. Most of the leaders of freedom movements thus lived or were kept where I lived, at State House. Because of the various forces at play, I knew that South Africa would take longer to be free. So we got ANC president Oliver Tambo to have his own house within the State House presidents. 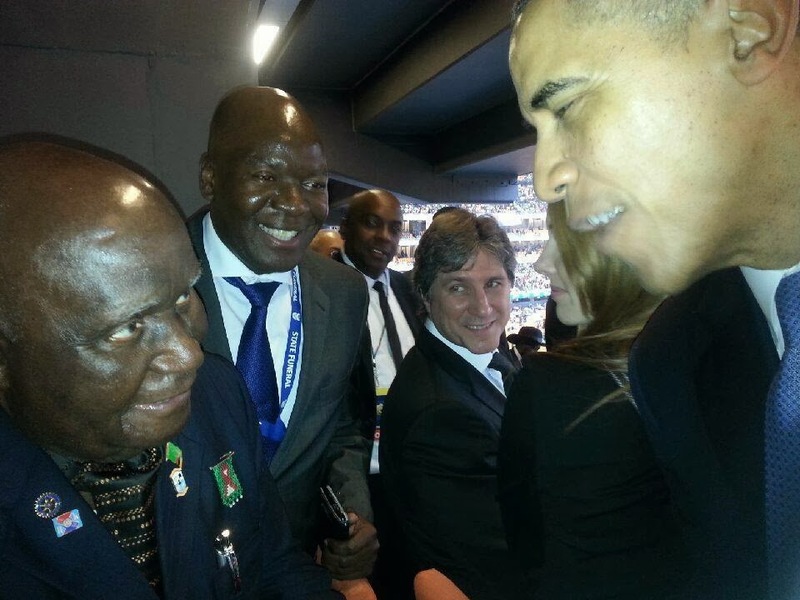 There, comrades like Thabo Mbeki would visit him. Diplomats from various parts of the world would visit him at State House. We considered Lusaka a home for Oliver Tambo and ANC. From Lusaka, we continued to support the advance of ANC towards the liberation of South Africa. Following the death of Chief Albert Luthuli in 1967, Oliver Tambo had became ANC president. The role involved a lot of organisation and campaigning. ANC had its base in Lusaka. But Oliver Tambo had to sell the ANC ideals all over the world. There was support coming in from all over the world. People all over the world began to know about Nelson Mandela and the struggle in South Africa. In all this, I never imposed myself on Oliver Tambo and the ANC. They understood their situation better. They made their plans and asked us to support them where we could. We were just partners supporting our brothers and sisters in a common, just struggle. We did not control the liberation movements. At the same time, Zambia’s people greatly supported the liberation struggle. We would not have successfully continued support for ANC and our colleagues if the people of Zambia were not in support. For many people, Nelson Mandela was constantly in mind. People in fields like the arts, through music and drama, did a lot on the situation of Nelson Mandela and South Africa. People in sports acted against apartheid. People all over the world protested against products and trade linked to South Africa. Of course, there were some people, governments, and organisations that supported apartheid. They ignored the work and ideals of Nelson Mandela. For many people, Nelson Mandela was a great symbol of the suppression done against Africa’s people. He was a symbol of hope. If Nelson Mandela and colleagues would be released, it would be a symbol of Africa and the world’s triumph over racism and artificial division. To this ideal, we supported ANC in the release of Nelson Mandela. We believed South Africa could change and be known as a great country for all people. I will share with you my role, challenges, and experience in the release of Nelson Mandela.